Gwyneth Paltrow Stands Up To Cancer with George Clooney! The list for Stand Up 2 Cancer‘s much-anticipated television fundraising event just keeps on growing!!! The following supporters have now joined the broadcast: Elizabeth Banks, Kathy Bates, Sir Richard Branson, Michael Chiklis, George Clooney, Baron Davis, Emily Deschanel, Bill Hader, Dorothy Hamill, Anne Heche, Cheryl Hines, Randy Jackson, George Karl, Dr. Jon Lapook, Rob Lowe, Jane Lynch, Marlee Matlin, Shareen Mitchell, Olivia Munn, Lisa Niemi, Kelly Osbourne, Gwyneth Paltrow, Matt Passmore, Will Smith, Sam Trammell, Denzel Washington, Aaron Yoo, and Renee Zellweger. Musical guests scheduled to perform include: Billie Joe Armstrong of Green Day, Neil Diamond, The Edge of U2, Delta Goodrem, Herbie Hancock, Kris Kristofferson, Lady Antebellum, Leona Lewis, Orianthi, Ann Wilson and Nancy Wilson of Heart, Natasha Bedingfield, Martina McBride, Aaron Neville, Dave Stewart, and Stevie Wonder. The 2008 telecast helped raise over $100 million. Hopefully this year, we can raise even more! The SU2C TV special will air next Friday (Sept. 10) @ 8PM EST & PST / 7PM CT!!!!! 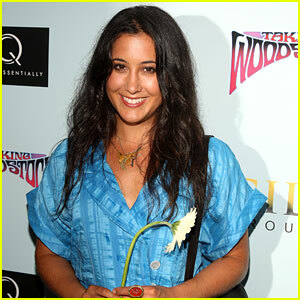 Vanessa Carlton: Bisexual and Proud of It! Vanessa Carlton proudly announced her bisexuality at the Nashville Pride Festival at Riverfront Park on Sunday (June 20) in Nashville, Tenn. The 29-year-old singer headlined the festivities, which attracted more than 18,000 people. Earlier this week, Anna Paquin also announced her bisexuality in a PSA for the Give a Damn campaign in support of equality. You can follow Vanessa on Twitter @VanessaCarlton! 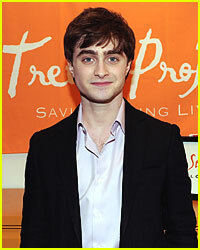 Check out this new PSA from Daniel Radcliffe for the Trevor Project! The 20-year-old actor showed his support for the organization, which provides crisis support and suicide prevention for LGBTQ youth. To learn more about the Trevor Project, visit TrevorProject.org! Bristol Palin stands with Dr. Drew Pinsky at a town hall meeting held at Lighthouse International Conference Center in New York City on Wednesday (May 5). The 19-year-old daughter of Sarah Palin spoke at “The Harsh Truth: Teen Moms Tell All,” sponsored by The Candie’s Foundation. Last month, Bristol‘s PSA for the foundation was released – check it out here if you missed it! Also pictured inside: Bristol at the Candies’ Foundation Event to Prevent! Hayden Christensen: Lazurus Effect with Gabourey Sidibe! Hayden Christensen and Precious actress Gabourey Sidibe hit the red carpet at the New York premiere of The Lazarus Effect at NYC’s Museum of Modern Art on Tuesday (May 4). The Lazarus Effect is a film that hopes to increase awareness for its efforts to fight AIDS in Africa. The flick will premiere on HBO, YouTube and Channel 4 (UK). Watch the promo video here! Hayden and Gabby was accompanied by model Alek Wek, co-founder of (RED) Bono and Iman. Last night, Chad Michael Murray and his fiancee Kenzie Dalton enjoyed a date night at Sam Nazarian’s Katsuya in Glendale. They dined on the patio and indulged on crispy rice with spicy tuna, California roll, and salmon sushi. Film critic Roger Ebert says computer programmers have captured his voice from movie commentary tracks so he can type what he wants to say and listeners hear a voice that sounds like him. 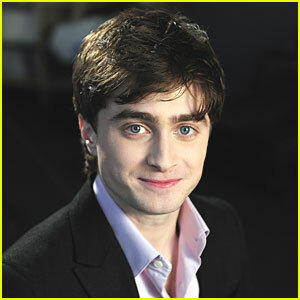 His voice will be heard predicting Oscar winners on a segment of The Oprah Winfrey Show airing Tuesday. Stephen Dorff, Hayden Panettiere, Nicky Hilton and David Katzenberg danced to the beats of DJ Mr Best and a surprise Mickey Avalon performance at Paris Hilton‘s 29th birthday party sponsored by Ty Ku and Ciroc. Jim Carrey became a grandfather this weekend.